Great vocalist, Sheila McKinley (although most of her solo singles were credited to Sheila McKinlay) was born in Edinburgh, Lothian, Scotland on December 12th, 1941 (some other sources say 1946). They released several singles. Some of them supposedly contain Jimmy Page and Big Jim Sullivan on guitar. They also toured under the different name of The McKinley Sisters. They were on the bill on some of The Beatles´ early tours, back in 1964. After a while, they moved to Germany, where they enjoyed bigger success. 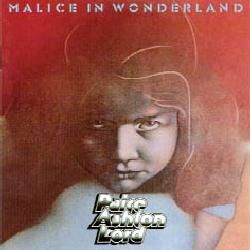 Around 1971, they dropped the name, although Jeanette and Sheila still worked together from time to time (for example, touring with Paice Ashton & Lord or with The Barrelhouse Blues Orchestra). + many others unknown to me. Help! I think she stayed with the band from 1973 to 1975, maybe appearing with them in some later comeback. Can someone help here, please? Sheila met Howie Casey in 1975. They married in 1980 (that´s why sometimes she appears credited as Sheila Casey), moving to Bournemoth, where they remained very active in the local scene. 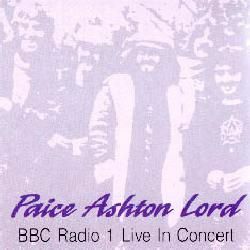 PAICE ASHTON & LORD #? There were different lineups while Dave Caswell played with them (from 1983 to 1986), but don´t know more details. Help, please! +drummer unknown to me. Help! THE BARRELHOUSE BLUES ORCHESTRA #? Sadly, Sheila McKinley passed away on December 16th, 2012, due to cancer. What a sad loss. Comments: The A-side is a German version of ´Ring a ring of roses´, while the B-side is a cover of the Middle Of The Road hit. Comments: Recorded during September and October 1976. Some CD reissues contains 3 live bonus tracks, while others (2001 reissue) contain 8 bonus tracks taken from the sessions for their unreleased second album. Comments: 2CD compilation of tracks from the 60s where Jimmy Page appeared as sessionman. It features tracks by Neil Christian, Carter Lewis & The Southerners, The Redcaps, Dave Berry, Antoinette, Mickey Finn & The Blue Men, Mickie Most & The Gear, Louise Cordet, The Authentics, Brenda Lee, The McKinleys (featuring Sheila McKinley and Jeanette McKinley), Jackie DeShannon, Bobbie Graham, Kenny & Deny, Heinz & The Wild Boys, The Talismen, Vashti, Marianne Faithfull, Burt Bacharach, The Larry Page Orchestra, The Pretty Things, The London Studio Group, Jeff Beck and Johnny Halliday. Comments: 2CD containing different live concerts from November 1971 and April 1973. Comments: Recorded during January and June 1974. Comments: Recorded in October 1974. 01. Does anybody know if she appears on any album by James Last? 02. She made some recordings for Paul McCartney, but don´t know if they were release. Does anybody know? 03. Which is the single by The McKinleys where Big Jim Sullivan played? 04. Can someone tell me in which other albums by Les Humphries Singers does Sheila appear, please? 05. Has Sheila worked with Mott The Hoople? 06. Can someone confirm me if Sheila recorded with Rolling Stones, Ringo Starr, Hollies, Gerry & the Pacemakers, Catherina Valente, Vicky Leandros and Demis Roussos? Disclaimer: I don´t own or upload any of the videos linked here. I just include links to live videos that are already available, in order to show the work of this musician. Anyway, if someone feels that some link shouldn't be included, please write me at the email address shown below. And if you know of more videos featuring Sheila McKinley, please, also write me with the link. Featuring: Jeanette McKinley, Sheila McKinley. Dave Caswell: for info on the original lineup for The Slobs (2012). Annie Christopher: for info on Sheila & Howie Casey & The Slobs (2012). Martin Kitcher: for info on The Slobs and Howie Casey (2006). John H Warburg: for biographical info (2012). Peter Kutej: for info on Sheila appearances in Les Humphries Singers albums, as well as about Clambake and other singles (2013).